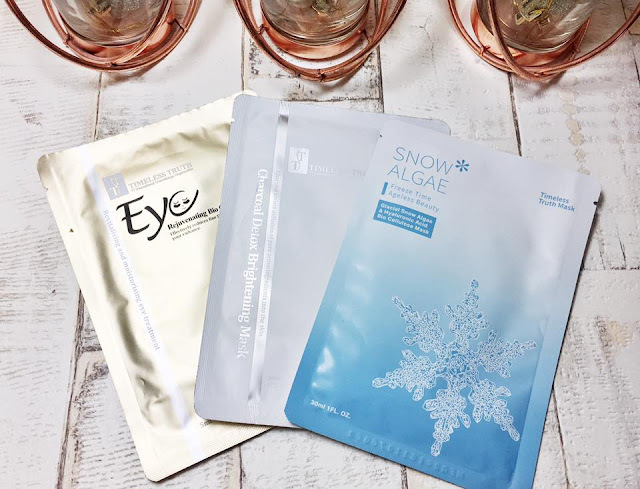 Todays post I am going to be reviewing 3 masks from the brand timeless truth* I have only ever used one sheet mask before trying these so I was really intrigued by them. Sheet masks are really popular in Korean skincare and they are also becoming rather popular all over including in the blogging community. 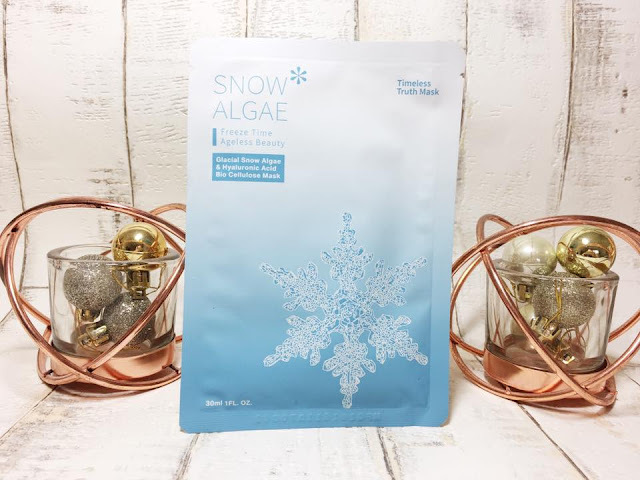 This mask is is made from snow algae found on the glaciers and compact snow in Switzerland. The plant contains amazing properties which help lock in the youthfulness of your skin. The serum in this mask absorbs quickly into the skin helping plump out fine lines. I have to be honest I was disappointed with this mask, it sounded amazing but it didn't really do anything for my skin. It was quit clammy on my skin which made it quite uncomfortable, when I took it off I rubbed the left over serum into my skin and it looked/felt no different. I don't know if this mask didn't work because I don't have wrinkles yet, as it is designed for all skin types it could work for those who need to fill in fine lines. But personally it didn't do anything for me. I was really looking forward to trying out this mask as my skin can, at times get quite oily. Charcoal masks and face washes have always worked really well with my skin. This particular mask is supposed to brighten, smooth, firm and hydrate the skin. This mask has a black powder in the mask which is the product of Moso Bamboo Charcoal Extract which has been proven to be highly absorbent and deep cleanse the skin. 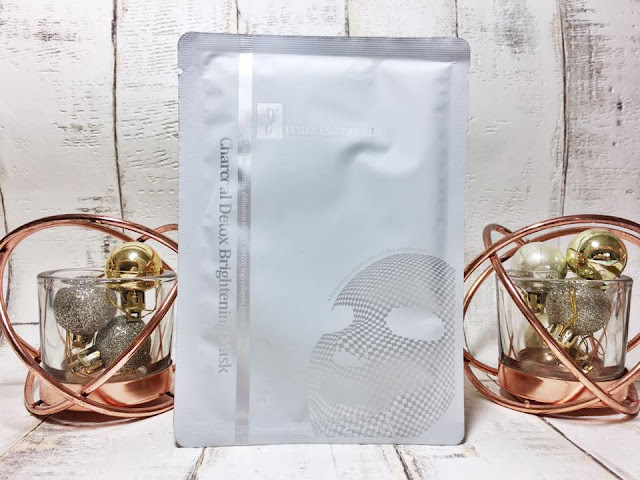 This mask was so easy to apply and it felt instantly cooling on my skin which I really enjoyed, whilst this mask was on my skin I decided to watch an episode of gossip girl. I ended up leaving the mask on for the entire episode as it was so relaxing. After removing the mask I massaged the excess fluid into my skin until it was all absorbed. The first thing I noticed was how refreshed I felt, my skin was so soft and looked much brighter. I really really enjoyed using this mask and plan on buying some more soon. 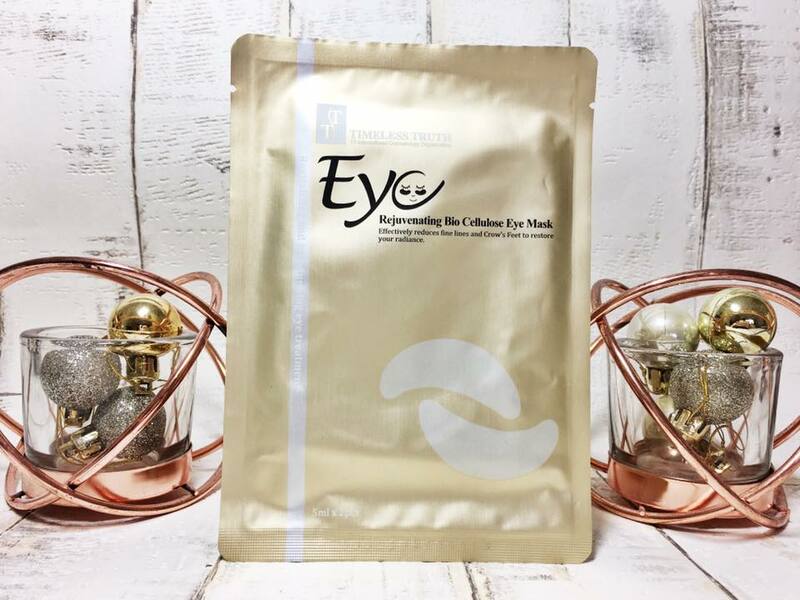 These eye masks are designed to reduce fine lines and crows feet, they are also designed to moisturise and reduce puffiness. I don't have an issue with wrinkles as I have said before as lets face it I am only 19, however I do have quite a lot of puffiness under my eyes. I have used quite a few of these types of masks before and I have always really enjoyed them. These masks felt absolutely amazing under my eyes they were so cooling and made me feel awake and refreshed (perfect for a hangover). I left these masks on my under eyes for half an hour, they stuck on really well and didn't feel as though they were going to fall off. Once I took them off my under-eyes felt so much more moisturised and awake. I loved these under-eye masks so much and like the charcoal mask, I plan on buying some more of these as I really think you would notice a huge difference if you use these on a regular basis! 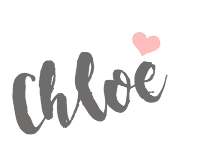 Overall I was really impressed with Timeless Truth Sheet Masks and I plan on making an order soon from their website to try out some more of their masks. Have you tried sheet masks before?